It’s cold outside and I wanted comfort food, but I’m also determined to get my youngest to eat some gottdamned vegetables! My ten year old is a dream to cook for. He eats it all. Lucius is a whole other story… I mean, he eats the veggies but there is MUCH resistance. I decided on mac n cheese, figuring it would satisfy my comfort cravings and I could make a salad and hunker down for the battle. All of this was my inner self-talk on my commute home. 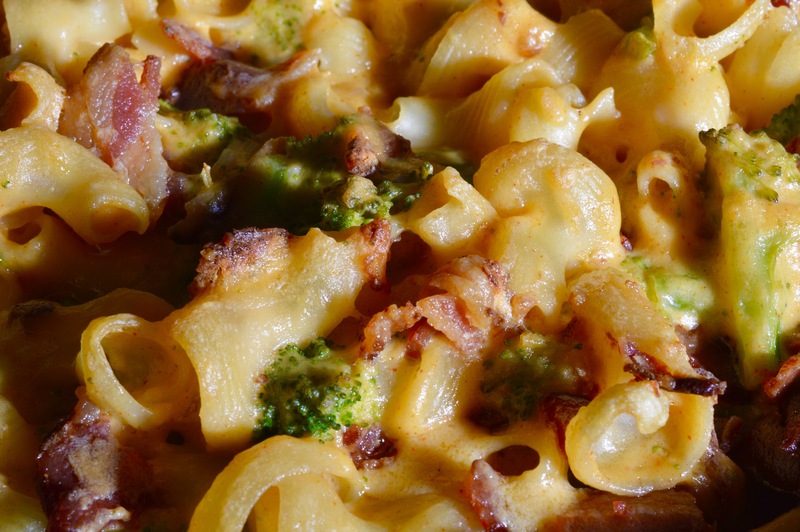 Upon arrival, I found some broccoli in the fridge that needed to happen soon. So, I pulled it out and cut it up to pop into the steamer in lieu of a salad. But wait! 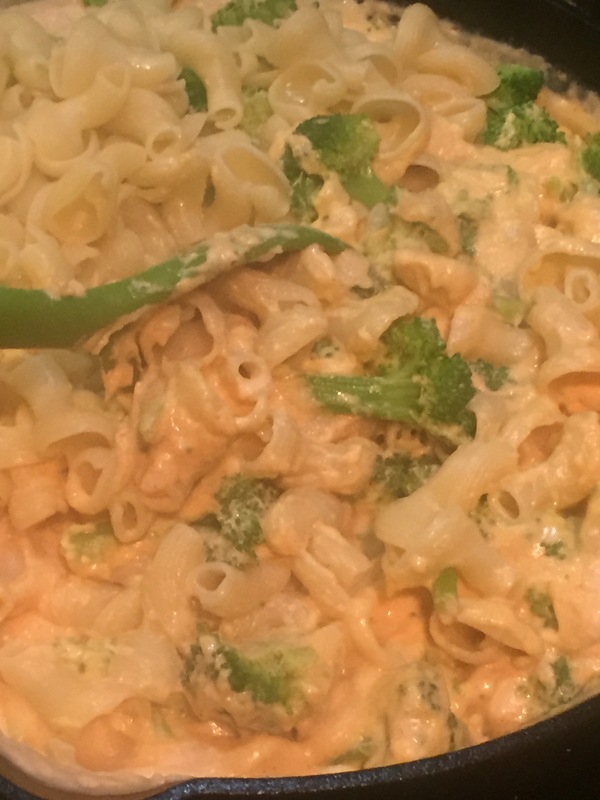 I’ll mix it in with the mac and it will be a cheesy sensation! Then, as if I were channeling my inner five year old, I added bacon for the win! 1 pound bacon, cooked crisp and crumbled. Reserve bacon grease. 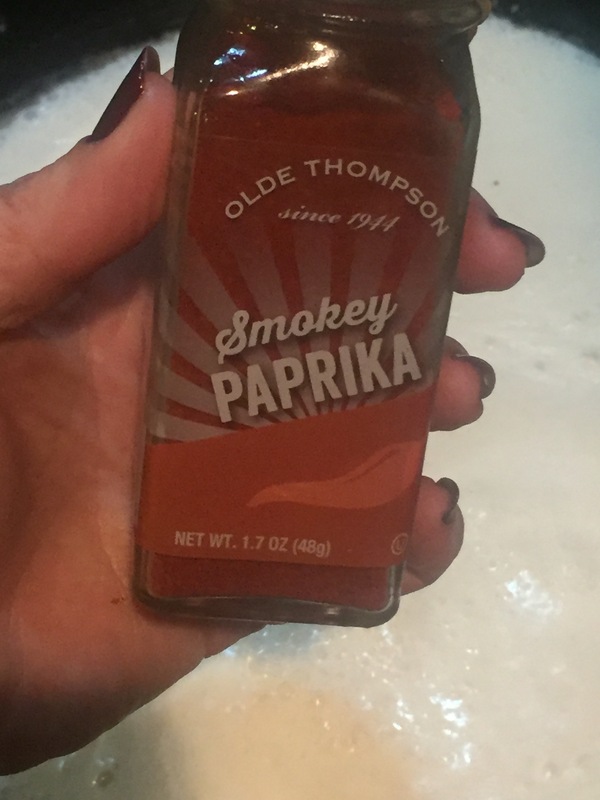 1 heaping tablespoon smokey paprika *shout out to my girl, Amy for the yummy spices from Olde Thompson! 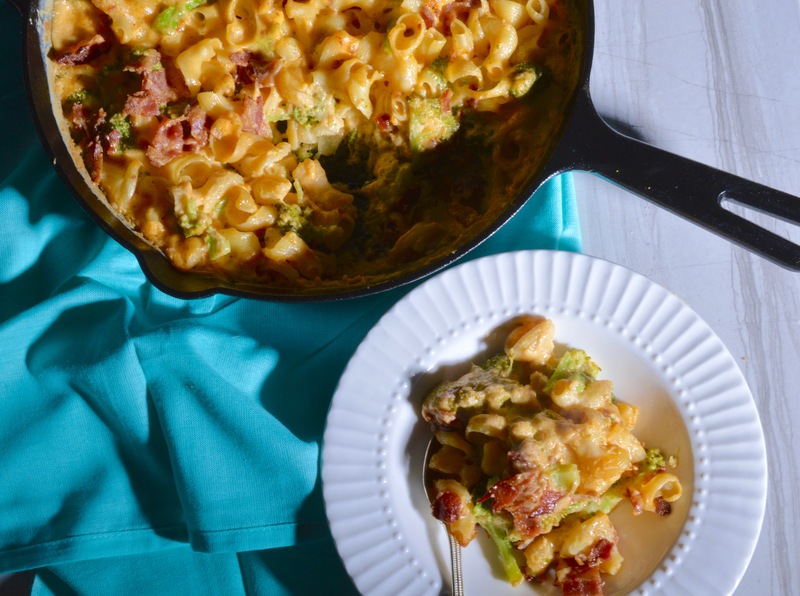 In a large oven proof Skillet, make a roux with 1/3 cup bacon grease and 1/3 cup flour. 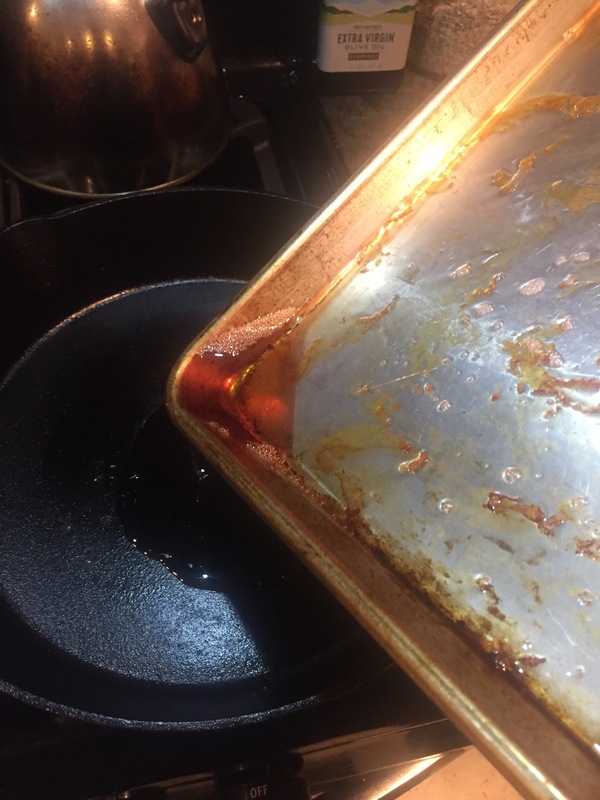 If you don’t have a skillet that can go into the oven, prepare the sauce in a skillet and transfer to a 9×13 baking dish. 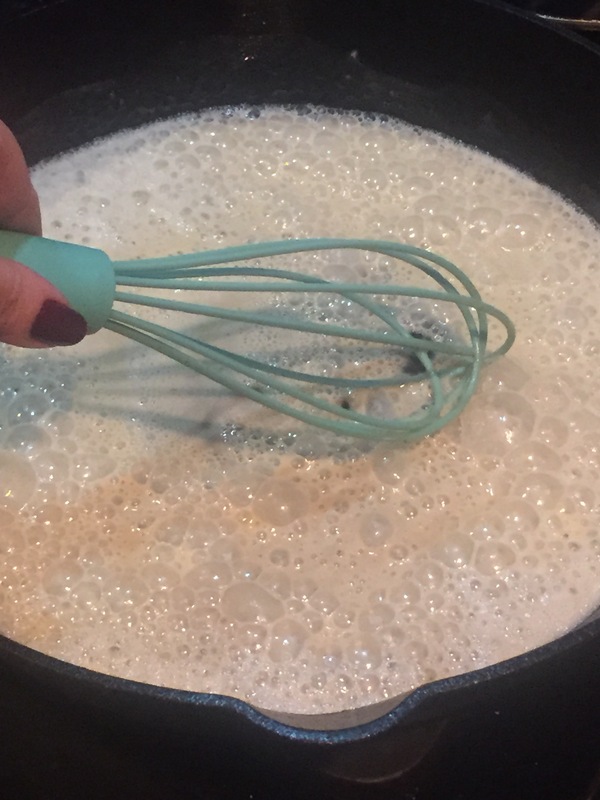 Once your roux turns golden, slowly add the milk and the smokey paprika. Salt and pepper to taste. Bring it up to a simmer stirring constantly until it thickens. Add cheese and stir until fully incorporated. Remove from heat. 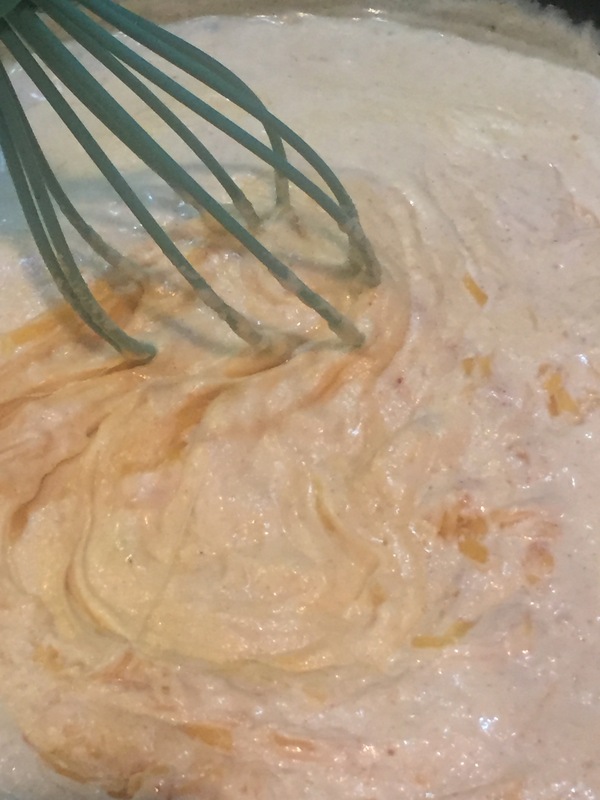 Add remaining ingredients and stir until all are coated with the cheese sauce. 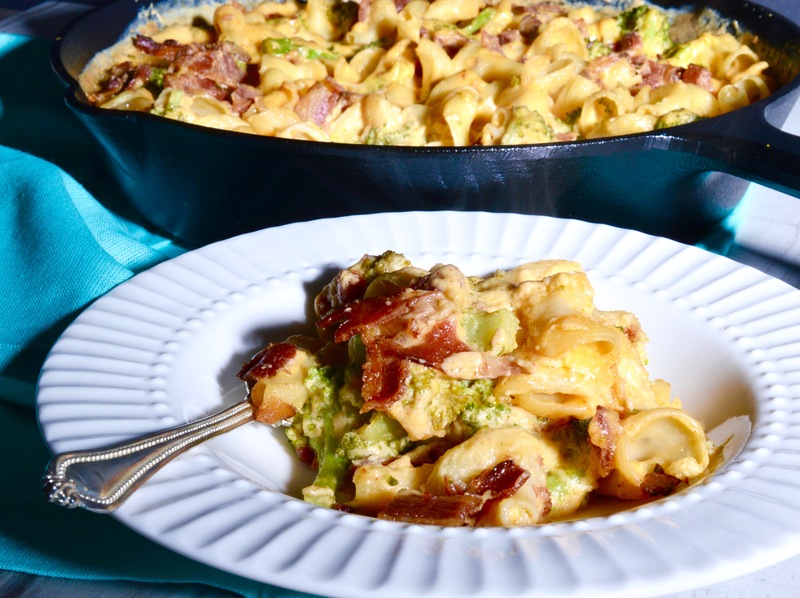 Place the skillet into a 375 degree oven for about 30 minutes or until the edges begin to brown and the top is golden and bubbly. Meets this picky eater’s approval! Oh wow! That IS impressive! Lol make it for your family sometime!